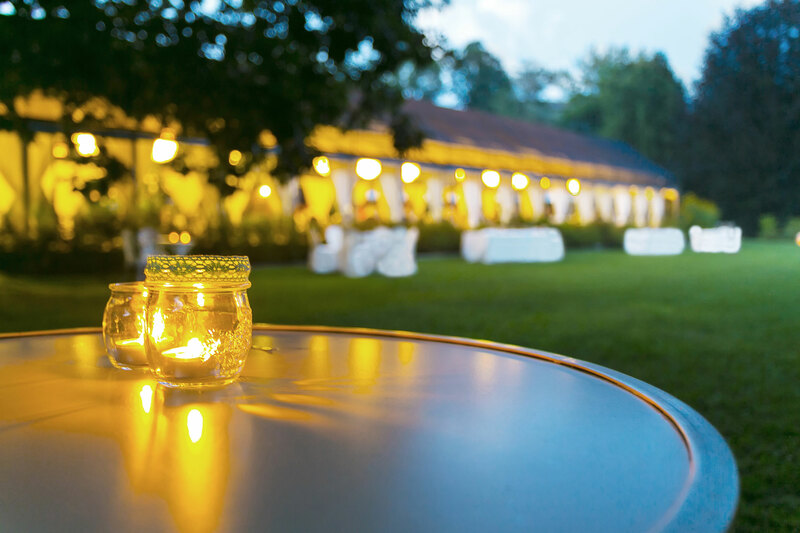 An outdoor summer wedding is about more than just taking advantage of our beautiful weather; it’s a chance to celebrate all of the wonderful perks of summer—especially with your menu! If you’re looking for sizzling summer food ideas for your outdoor wedding reception, get your ideas flowing with this list of delicious summer outdoor wedding reception menu ideas. 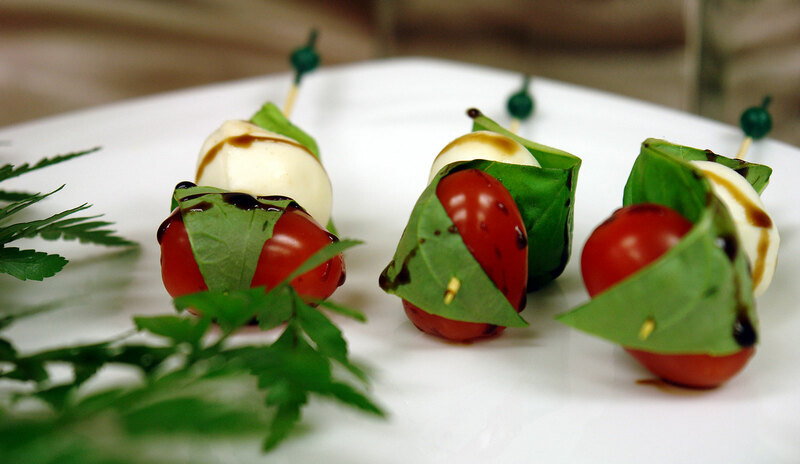 These appetizers make your guests feel like they are eating these delicious ingredients straight out of the garden. One of the biggest perks of skewers is you can customize the ingredients and add chicken, chipotle beef, or any other favorites. Freshen up your wedding salad up with summer favorites: strawberries, mandarin oranges, and red onions topped with a raspberry vinaigrette dressing. Your guests will rave about the freshness of the ingredients and the burst of summer flavor. Adding stir fry to your outdoor wedding menu has a lot of benefits: fresh ingredients, great presentation, and a chance to customize the dish with your favorite ingredients. 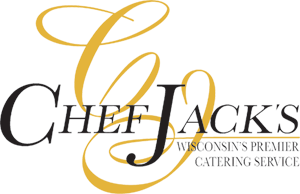 You also have a host of options for the main ingredient, such as shrimp, beef, or chicken (ask your caterer for a full list of options). For a more casual outdoor feel, a slider station loaded with options is the way to go. Your guests will love the the sight of a fully-loaded slider station with fried onions, lettuce, cheese, tomatoes, assorted petite rolls & kettle chips, ketchup, mustard and pickles. 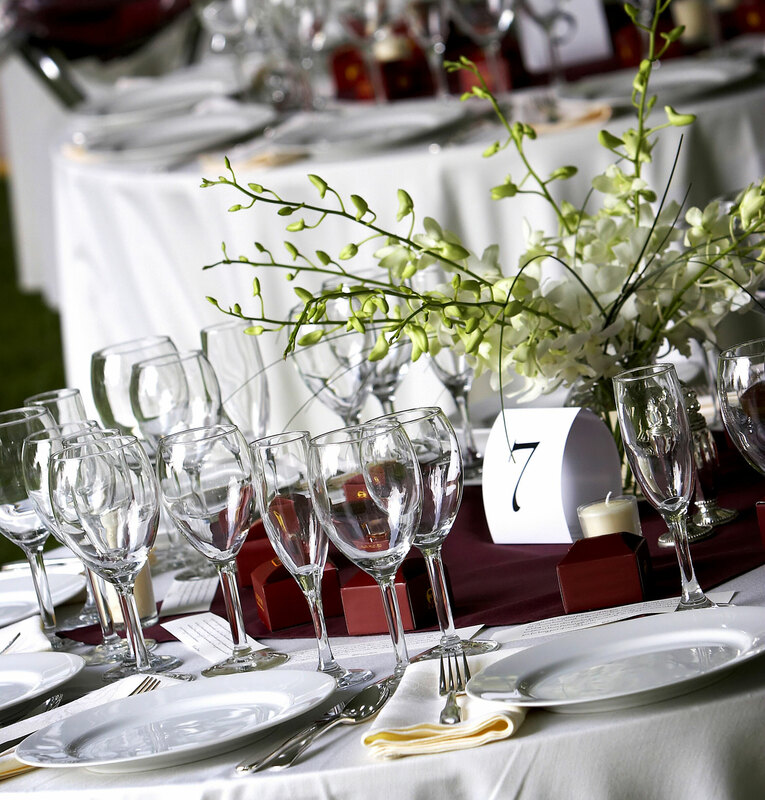 For an unexpected upgrade, choose a caterer who can deliver a slider station with sliced tenderloins for a delicious outdoor wedding surprise. Perfect for a casual wedding or a late night wedding course (more late night wedding food ideas here), a gourmet popcorn station full of flavor is a menu item your guests will crave. 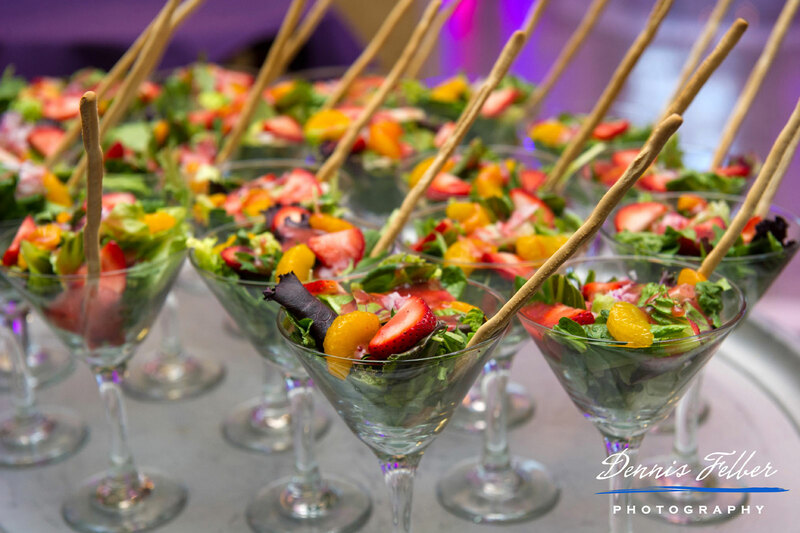 Ask your caterer about gourmet flavors; we’re partial to our favorite flavors: banana split (strawberry, chocolate and banana), south-western (jalapeno and cheddar) or fiesta pop (lemon, orange, watermelon, raspberry, grape). At a hot (and humid) summer outdoor wedding reception, your guests will appreciate the delicious flavor and a chance to cool down. 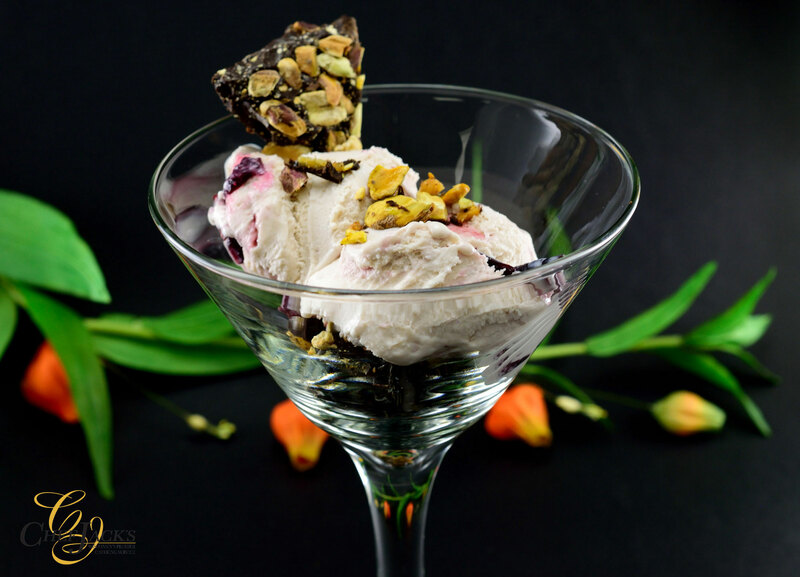 Freshen up your Italian ice cream with fresh mint and raspberry, or serve a full ice cream bar with jumbo cream puff shells, chocolate and caramel syrup, whipped cream, chocolate jimmies, candy topping and granola crumble. Either option is a huge summer wedding reception hit—either in lieu of cake or served with a traditional wedding cake. Summer and berries go hand in hand; truly, it’s hard not to think of summer without picturing a fresh berry field or all the delicious berry dishes (and drinks!) that come with the season. That’s why Berries Sabayon can be the perfect non-cake dessert (or a fun addition-other ideas for non-cake desserts here) with fresh berries topped with a delicious white wine sabayon sauce and fresh mint (or ask your caterer for other fresh berry desserts that fit your menu and palette). 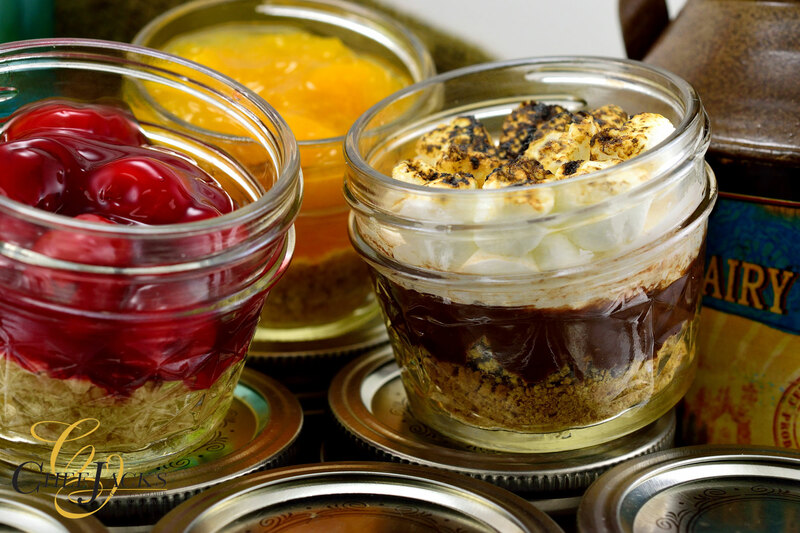 S’mores and pie are all-American and summer through and through—and you can deliver both summer treats in a unique mason station at your summer outdoor wedding reception. 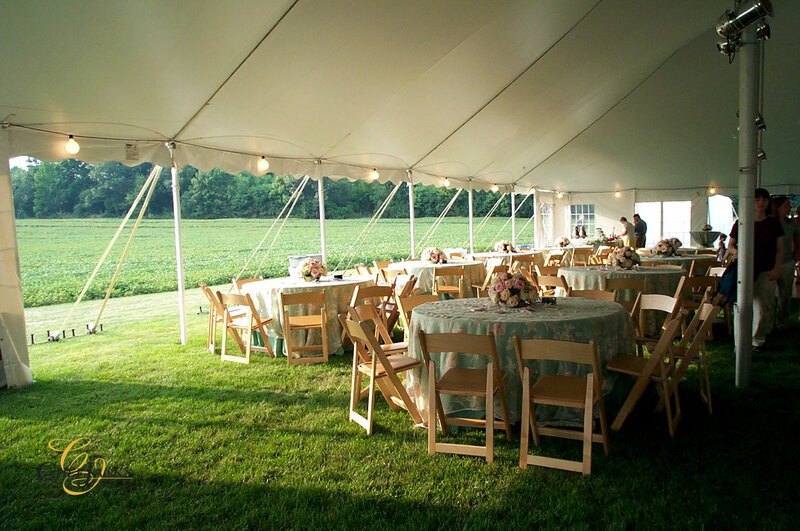 Contact Us for more great Milwaukee outdoor wedding food ideas.